A glance at the program for “Gems of the 20th Century,” performed by the Frost Symphony Orchestra, might make one a bit confused. All three pieces listed were written in a timespan of less than 40 years and were standard repertoire, played thousands of times per year by orchestras across the world – but back in the 1900s. A first impression, however, is often wrong. After the orchestra tuned up, Assistant Conductor Alexander Magalong took the podium to open the concert with Leonard Bernstein’s “Overture to Candide.” This was from his Broadway production, an adaptation of French Enlightenment writer Voltaire’s novel of the same name. The four-minute opener was an energetic and cheery endeavor, aided greatly by Magalong’s fluid conducting that drove the orchestra forward, but never felt rushed. 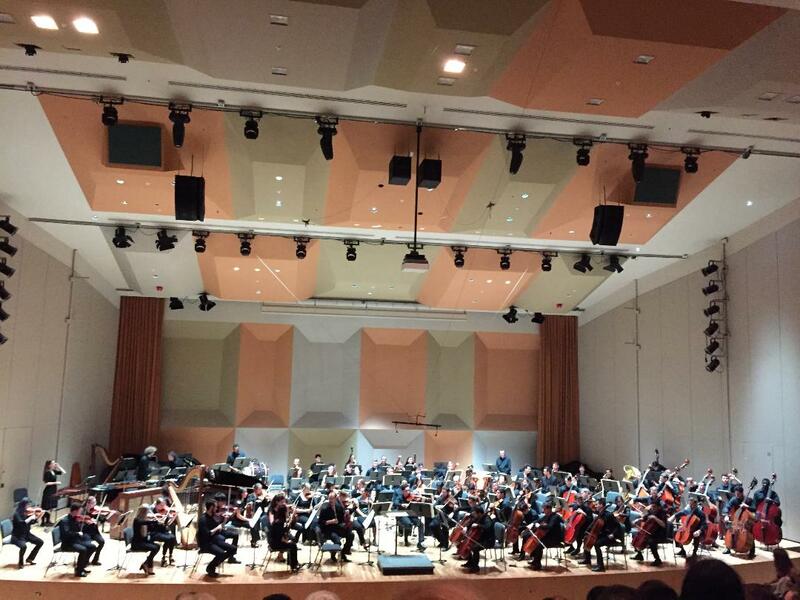 “The orchestra had great passion, extremely diverse and contrasting dynamics, and awesome stage presence,” freshman in music composition Wesley Thompson said. Next on the program was “Suite from ‘The Miraculous Mandarin,’” written by Hungarian composer Béla Bartók. Led by Conductor Thomas Sleeper, the orchestra handled the 20-minute piece with an unapologetic brashness that is characteristic of Bartok’s music. Singling out a particular section would be unfair, as the strings, winds and percussion all made strong contributions to the cacophonous harmony. After a brief intermission, the orchestra and composer Thomas Sleeper took the stage again to deliver a performance of Dmitri Shostakovich’s “Symphony No. 5 in D Minor;” a behemoth clocking in at just over 50 minutes. The orchestra, while sensitive enough to respect the piece’s great lyrical content, did not waste their opportunities to drop the hammer in terms of dynamics and emotion. The brass section, particularly the low brass, showed their musical maturity by filling the hall while not burying the orchestra. The most ingenious portion of the concert was not the performances itself, but the choice in programming. The three “gems” from the 1900s were chosen for both their similarities and their differences. Bernstein, Bartók and Shostakovich all utilize dissonance, but to varying degrees of volume and subtly. Most notably, the tonal incongruity of the Bartók, which can be chillingly uncomfortable, made the mighty Shostakovich sound infinitely more heroic by comparison. This effect may have been felt the most by Thompson, who was one of the first audience members to stand up after the last chord. The Frost Symphony Orchestra performs next on Oct. 27 at Gusman Hall, featuring flutist Sir James Galway.